When your company operates in the local area, seeking business from customers who live there is logical. The issue is that many business owners assume that to gain greater business from locals, they must focus on traditional marketing strategies. That is a misconception because roughly 95 percent of people who go online seek out local services. More than 80 percent of smartphone users will ask a question on a search engine to find a local business. Local SEO is the way to target these individuals. When someone is seeking a restaurant or movie theater in the area, they go to Google. Companies with properly optimized local SEO strategies will see their website appear among the top search results. If your site is languishing on the third or fourth page of search results, it is unlikely that you will get much business through Google searches. It is why our local SEO services are so critical for businesses in the area. Forget about the phone book or newspaper. Online search engines are the primary tool used by people to investigate local businesses. 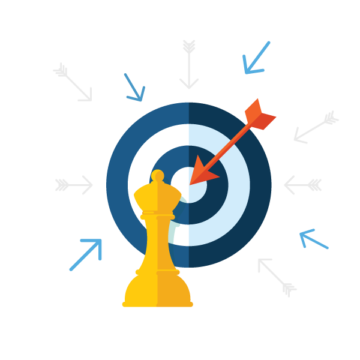 You need a coherent and high performing local SEO strategy to grow your business. Improve site rankings for local search results. Utilize local advertising channels, which produce the highest conversion levels. Help mobile users find your business through search engines and social media channels. Ensure that your business is prominently featured in Google Maps for the local area. In the past few years, Google realized that many people who used its search engine wanted local results. They were searching for products and services with a specific country, state, city or neighborhood in the search phrase. Roughly 50 percent of Google queries have local intent. It is why local SEO is now a major priority for Google – and businesses. Arc Digitech ensures that your business is not left behind, through our top-rated local SEO services in Pune. Increase your online visibility concerning local consumers. Boost web traffic, lead generation and sales from the local audience. Create geographically targeted campaigns, which deliver a personalized online experience for potential customers. Stand out from your competitors by appearing prominently in local search results, social media posts, and map searches. What is Included in Our Local SEO Services? When you partner with Arc Digitech, you get access to the best team of SEO experts in India. We take a multifaceted approach to local SEO, ensuring that your company is the number one for local results pages. With continuous market research, our team discovers how other companies are performing in your service area. We highlight the competitors who outrank you on the web, analyze their search terms, assess monthly search volumes and investigate the best strategies to outperform them. By having a handle on the competition, it is easier to see the best path to success for your local SEO strategy. We never copy what another company is doing. The goal is to take a step beyond their performance – not mimic it. By assessing local backlinks and keywords with high performance for competitors, we also understand where your local SEO operation is currently weak. Online directories are a common way for people to find local businesses. We prioritize the auditing of citations across every relevant online directory, inputting accurate information. This process ensures the correct address, phone number, business hours and other information is present on any online directory or business review forum. If any problematic listings appear, our team investigates possible solutions to the issue. We also find new opportunities for citations on directories or sites where your information was not present. One of the most impressive ways to boost local SEO is through organic content with a local flair. Such localized content will appeal to the specific community that makes up your target market. The process begins by researching high performing local keywords. We investigate what customers in the area search when they seek services from your company or competitors. These keywords can form the basis of future articles, blog posts or ads. We have talented writers at Arc Digitech that can produce organic and helpful content that targets the local community. Not only will such content get you high up search rankings, but it also establishes you as a local authority on various subjects. People genuinely want to visit your website or blog, as you provide valuable and insightful information. When a person is outside and using their smartphone, it is common for them to use Google Maps to try and find a nearby business. Getting your business in the top three results for those queries can result in a lot of real foot traffic to your restaurant or store. Through a combination of keyword selection, category selection, local citations, and website design improvements, our team ensures that your business has one of the top ranks on Google Maps results. We continuously monitor your position, ensuring that it does not drop. We also assess any reviews that customers may post onto Google, which are present on the search results page and Google Maps results page. As a business owner, you have a lot on your plate. Between day to day operations, financial analysis, long term projects and maybe a day off, you are already stretched thin. With the help of Arc Digitech, local advertising is one less concern on your plate. Our team of search engine optimization experts will use the most effective strategies to boost your local SEO. Put your company at the forefront of local searches, map queries and social media posts with Arc Digitech – the best local SEO service provider in Pune.